If this sounds like bias, so be it: When “Spotlight” won Best Picture, I bellowed with joy. That’s a quote from Supreme Court Justice William Brennan. In 1964, he wrote the landmark ruling that, to this day, protects a free press from people like Donald Trump. The aspiring authoritarian says he wants to target newspapers, to “open up our libel laws … so we can sue them and win lots of money,” but the ’64 ruling, Times v. Sullivan, makes it extremely difficult for public figures to launch successful vendettas. After all, Brennan said, accountability is paramount and “the power of reason” should not be suppressed. “Spotlight” — a film without car chases and CGI; a film with file cabinets and shoe leather — is ultimately about the power and pursuit of reason. No other journalism film, with the possible exception of “All the President’s Men,” has so accurately depicted the tedious, unglamorous spadework that is essential to that pursuit. Perhaps Americans who watch this movie — it’s online and on demand — will more fully appreciate what we’re in danger of losing. At The Boston Globe, it took half a year and a lot of teamwork — scrolling through microfilm, sifting yellowed clippings, reading church directories in a basement with dead rats and bad lighting — to unmask the immoral rot at the core of the Catholic Church. This was back in 2001, when an AOL billboard loomed ominously over the Globe parking lot; when we were on the cusp of a revolution that continues to ravage newspapers and drain the resources that are critical to investigative reporting. Watching the movie, it’s almost painful to hear the Globe reporters explain at the outset that they need “a few weeks” to even determine whether the story is worth pursuing. In 2016, how many newspapers can afford to spare a quartet of reporters for “a few weeks” of potential nonproductivity? Indeed, in today’s hyperactive digital climate, there’s typically no time to ponder and weigh and verify. The impulse today is to post whatever you have, and fill in the rest on the fly. In the movie, when a reporter says “we just need a little more time,” and an editor says, “we need the full scope,” it was like hearing whispers from a vanishing world. This Best Picture Oscar — the first for a journalism movie since 1947 — will likely remind people of all that is vanishing. What we now call “the legacy media” is mired in perpetual crisis. The Philadelphia Inquirer, where I once worked, and virtually all other metro dalies, continue to be hit hard by the decline of print and classified ad revenue. (Craigslist has arguably done the most damage.) Trump laughs that The New York Times is losing money, so it is. Print circulation reportedly fell by 200,000 between 2013 and 2015. The Wall Street Journal’s drop was twice as big. The reality, well established by now, is that nobody in journalism has yet figured out how to sufficiently monetize the websites, how to make those boats big enough to save the print folks from drowning. 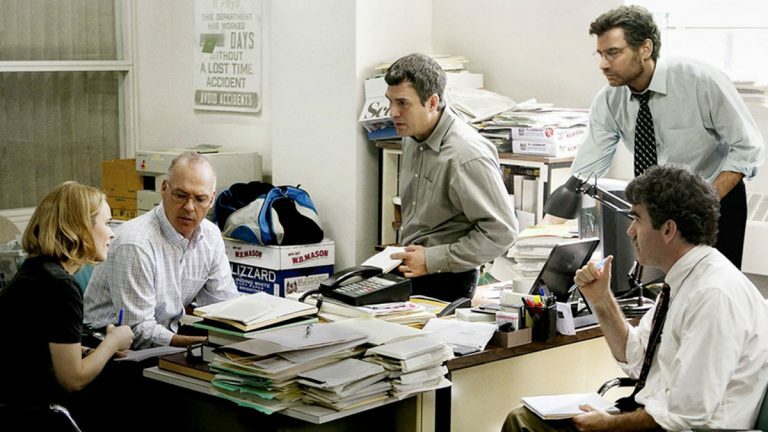 Perhaps “Spotlight” will inspire more young people to pursue careers in journalism — the Globe reporters depicted in the film are getting that feedback — but those careers are problematic unless the financial crisis is solved. [T]hat fear breeds repression; that repression breeds hate; that hate menaces stable government; that the path of safety lies in the opportunity to discuss freely supposed grievances and proposed remedies; and that the fitting remedy for evil counsels is good ones. 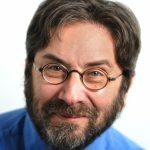 As the movie ends, the Globe editor says, “Sometimes it’s easy to forget that we spend most of our time stumbling around the dark. Suddenly, a light gets turned on.” That’s the fitting remedy.